Cleveland Cabinet members at the 2017 National Young Leadership Cabinet Retreat. 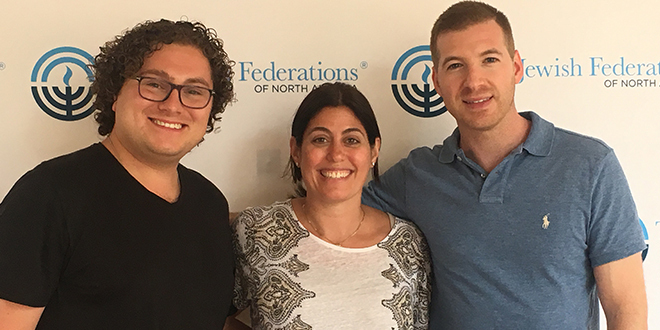 YLD Jewish Cleveland's National Young Leadership Cabinet members recently attended Jewish Federation of North America's (JFNA) Cabinet Retreat. Read about their experiences here! National Young Leadership Cabinet is the premier leadership philanthropic program of our international partner, JFNA. Cabinet members are dedicated men and women, ages 30 to 45, from across the U.S. and Canada who are deeply committed to building a strong, vibrant future for the Jewish people. Each year, members have the opportunity to participate in a 5-day long retreat, conferences, and international travel opportunities. Cleveland is very proud to have 10 members representing our city nationally: Margaret Richards Frankel , Rachel Heiser, Michelle Hirsch, Justin Kadis, Sam Krichevsky, Rich Rund, Allison Wuliger, Elissa Wuliger, Jason Wuliger, and Sarah Zimmerman. For more information on how to get involved with the Federation's Young Leadership Division, contact Jessie Bruder at jbruder@jcfcleve.org or 216-593-2869. That's our go-to catch phrase whenever we post pictures, talk about our cabinet experiences, and get excited about doing the amazing work that JFNA's National Young Leadership Cabinet does. What does it mean though? Cabinet is a group unlike any other. It is a collection of some of the brightest, most generous, and most exciting young Jewish leaders in North America. 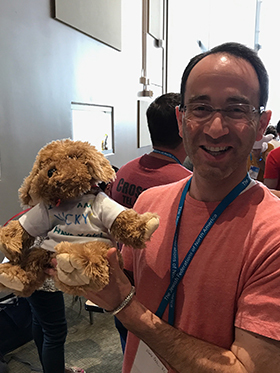 Last week in Scottsdale, AZ, we gathered to learn from each other and many of the top coaches and professionals in the Jewish world, and, of course, we had a ton of fun doing it all. Cabinet is my extended family. People who share the same values that I attempt to teach my children every day. We cherish our responsibility to repair the world, to strengthen our communities both locally and globally, and to enjoy every moment of our journey together. Our retreat in Scottsdale was an experience I will hold close to my heart for the rest of my life. Where else can you make a real difference in the world, build lifelong friendships, live your values, and have the time of your life doing it? This is what life is all about. This is Cabinet! 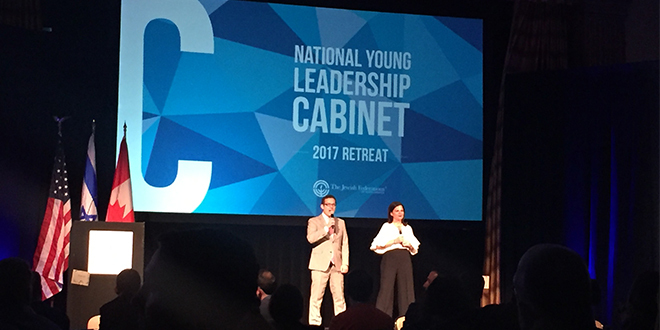 I just returned from my first JFNA National Young Leadership (NYL) Cabinet Retreat in Scottsdale, AZ and was blown away. 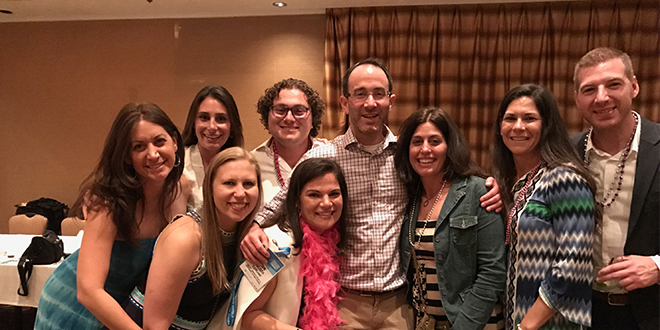 Cabinet is a leadership and philanthropic program for men and women, ages 30 to 45, from across the U.S. and Canada who are deeply committed to building a strong, vibrant future for the Jewish people. The long weekend exceeded all of my expectations regarding the content and the quality of people that surrounded me. Coming from Cleveland, we're used to LeBron - everyone on this retreat was an All-Star. The theme for this year’s retreat was “Bring It Home”. Our group from Cleveland was well represented with three new Cabinet members including myself. Our first year class was the largest ever: over 70 individuals from all over the country (and Toronto). 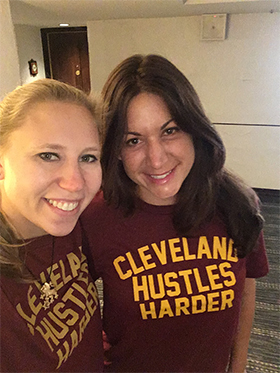 On Campaign Day we wore t-shirts that read “Cleveland Hustles Harder” to show off our hometown pride. While our community might be smaller than New York or Chicago, our presence was definitely felt. Many people mentioned to me how impressed they were by Cabinet co-chair Michelle Hirsch. That morning, we heard stories from fellow Cabinet members about how Federation had impacted their lives. We then broke into groups of three or four to caucus. I’ve never spoken openly with anyone about my gift to Federation, but sitting in a room with three other guys, discussing the impact of Judaism on our lives, it felt very natural. We each increased our gifts to the annual campaign and felt great about it. After Shabbat dinner there was a big reveal, all of Cabinet, 200+ members, raised over $2,000,000, an increase of more than 23% over last year! Another highlight was our day of service at the J in Scottsdale. 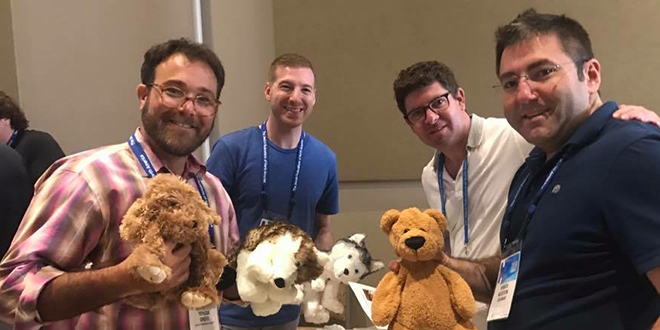 We put together over 1,000 toiletry kits for the local Phoenix Jewish Family & Children's Service organization and stuffed teddy bears and plush dogs and wolves for children. Organizations like that and Cleveland’s Jewish Family Service Agency are why I give, and it was truly meaningful to see what we can accomplish together. The GA is coming up this November in LA and our first Cabinet study mission is to Morocco and Madrid next April. This retreat in Scottsdale was the first of a long six-year journey. I can’t wait to share this journey with my new chevre and I encourage anyone thinking of joining Cabinet to reach out to me to learn more about the experience.